This acrylic painting for the Perspective (One Point) lesson is coming along beautifully! Check back later for the finished painting! This student is busy painting beautiful clouds as part of her image for the STUDY: Perspective (One Point) lesson of our Curriculum. Othogonal lines: straight diagonal lines drawn to connect points around the edges of a picture to the vanishing point. Drawing is practiced and perfected through our curriculum. 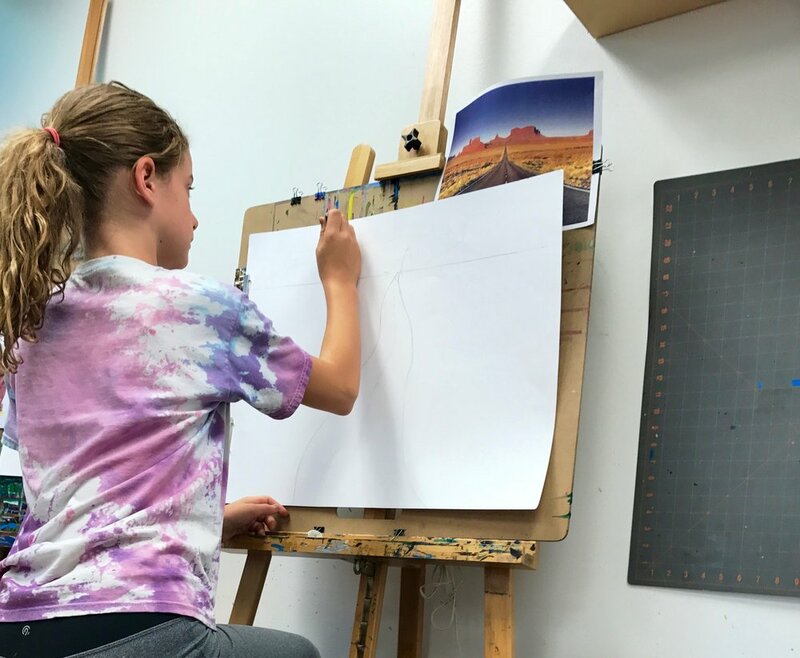 Each section of our curriculum is designed to teach our students an important aspect of art training, with drawing being a significant part of each lesson.